It's time again for an update. 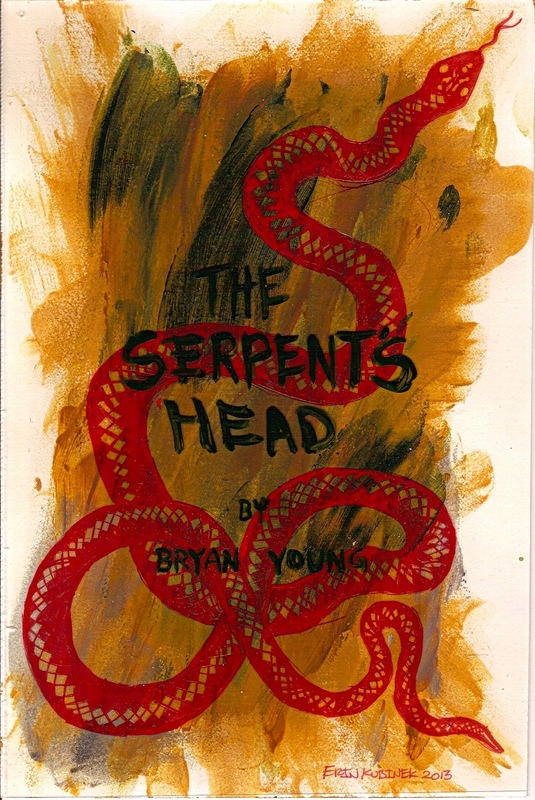 First off, for those expecting The Serpent's Head this month, as it was scheduled, after getting back with meetings with the editor, it needs another rewrite. It's just not ready for publication and I'm not going to rush it. I'm going to get it right. It will be out before the end of the year, though, so you can still look forward to it. Doubly so, knowing that it's going to be even better than I could have imagined in the first place. I have a rough mock-up of the cover as well, it's not final art, but I wanted to share it with you. It's from Erin Kubinek, a hell of an artist. We'll see how much it changes, but I really like the idea of the piece. And for a sci-fi/western, I think it works really well. Be sure to let me know what you think. Origins Game Fair. It's one of my favorite conventions and every writer should want to go. There are two tracks of panels on the craft of writing taught by invited authors, myself included. This is my third year there and I have two short stories coming out in two different anthologies there. The first is called "Changing the Game" and the other is called "The Commodore." Both of them are superhero fiction, both of which I'm very proud of. I'll have more information on how to get your hands on those stories after the convention, but it will most likely come down to ordering them online, or buying them from me at conventions. Both anthologies include stories from me, Janine Spendlove, Mike Stackpole, Aaron Allston, Maxwell Alexander Drake, and R.T. Kaelin, among many others. For those of you who will be in attendance, here is my reading and panel schedule, and I hope to see many of you there. I might find myself on some other panels, but that's what I'm scheduled for at the moment. The rest of the time will be spent gaming and selling and signing books. I hope to see many of you there. I know I keep saying I'm not coming back, but I guess I am. I'm going to be appearing on two panels. The first is Andrea Letamendi's Star Wars vs. Star Trek panel. The other is Rik Offenburger's how to get press for your project panel. I'll have a schedule for those as the date gets closer, but until then, this is all I know. If you're going to be there, for the love of God, stop and have a drink with me. I'm going to need it.